Know how each shelf is going to be used before installation. A major component of shelving & storage safety is to make sure the design of the shelf matches your needs, and knowing how to use the specifications of each shelf. Some types of storage are better for certain items than others, and understanding these differences will prevent damage or accidents down the line by making sure they’re all being used correctly. Be vigilant about installation and maintenance. A lot of the more common rack and shelving accidents happen during installation due to incorrect assembly or not following instructions, and then simple maintenance can help prevent similar accidents down the road. If you inherited your racking from the building’s previous owners, make sure you do your research to understand the specifications and demands of your current rack. Or if you’re able to install your own shelving, make sure to review any documentation the manufacturer sends in regards to things like weight limits, recommended replacement schedules, and so on. Train your employees on proper handling procedures. As much as we’d like to blame faulty equipment for any accidents on the job, employee mishandling can just as easily contribute to damage, injury, or accidents. The easiest way to prevent this is to make sure your employees are regularly briefed on how to properly load inventory, unload inventory, and transport inventory across the shop floor. This goes double for anything involving more complicated safety procedures, as some storage solutions aren’t as simple as “place crate on shelf” and will require more frequent training to prevent incident. Follow all suggested safety rules. It’s an old tip, and we all know how fast this sort of thing gets disregarded, but weight limits and safety restrictions are made for a reason. Careful and close following of these rules is one of the easiest ways to prevent things like racks tipping over, shelves breaking, and other common (and easily preventable) maintenance hazards. In certain areas of the country, this may go so far as to include being aware of the seismic zone you live in to prevent damage from earthquakes. 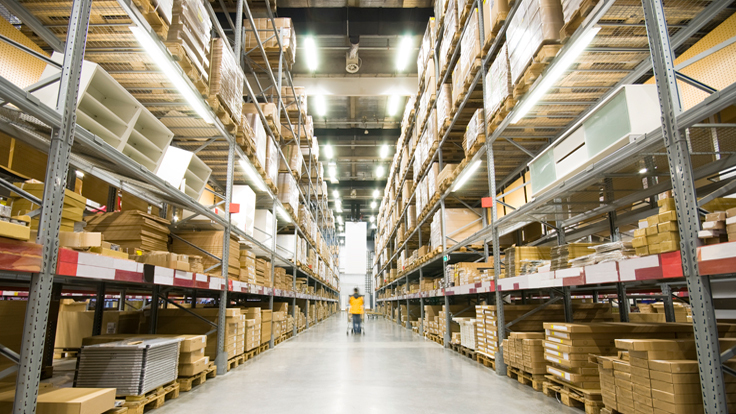 These are just among a few steps you can take to prevent damage to your shelving and inventory (not to mention preventing injury to your employees) and we’re sure to be back with more, but following these for now can do wonders for your warehouse and your workers.